Business spending on capital goods in the United States witnessed a surge in April. Per the latest data from the U.S. Department of Commerce, new orders for capital goods made within the shores of the United States, increased in April from March. Such a rebound indicates improvement in demand for these goods. Further, factory orders also touched a 45-year high in May. The Republican tax overhaul policy and steadily rising oil prices have resulted in increased business spending. Interestingly, the Trump administration has hinted at a fresh round of tax cuts prior to the midterm election to be held in November. Investors looking to make the most out of such circumstances should bet on mutual funds invested in capital-intensive sectors. On a year-over-year basis, core capital goods orders surged 6.6% last month, beating the market estimate of 0.7% growth. Excluding civilian aircraft and machinery, growth in equipment orders were broad-based. Such growth was achieved on the back of increased orders for electrical equipment, metals and computers. Further, orders for defense capital goods ticked up 3.1% last month. Excluding aircraft, non-military capital goods orders increased 1% month over month against a decline of 0.9% in March. Also, shipments of core capital goods were up 0.8%, while it fell 0.7% in March. Finally, orders for appliances, electrical equipment and components increased 2.6%, outshining the 2.4% growth achieved in March. Electronic products and computers orders were also up 1.1%, on a month-over-month basis. President Trump’s landmark $1.5 trillion Tax Cuts and Jobs Act has largely resulted in increased business spending, particularly on capital and durable goods. Moreover, provision for additional tax holiday to U.S. corporations on repatriated profits held abroad has assisted in improving the liquidity of American firms. Further, it is largely expected that the tax cuts would boost investment in capital-intensive industries. Also, spending on new equipment and capital goods would witness a surge in the days to come. Finally, if additional tax cuts are introduced by November, investment in corporate capital equipment would get a boost. Fidelity Select Industrials Portfolio (MUTF:FCYIX) seeks capital appreciation. FCYIX normally invests a huge portion of its assets in common stocks of companies principally engaged in the research, development, manufacture, distribution, supply, or sale of materials, equipment, products, or services related to cyclical industries. FCYIX has a Zacks Rank #1 and an annual expense ratio of 0.77%, which is below the category average of 1.04%. Fidelity Select Defense & Aerospace Portfolio (MUTF:FSDAX) invests a chunk of its assets in securities of companies involved primarily in the research, manufacture and sale of products and services as per the defense or aerospace industries. The fund seeks capital growth by investing in both U.S. and non-U.S. companies. FSDAX has a Zacks Rank #1 and an annual expense ratio of 0.76%, which is below the category average of 1.04%. Fidelity Select Transportation Portfolio (MUTF:FSRFX) seeks capital growth. FSRFX invests most of its assets in securities of companies involved in design, manufacture and sale of transportation equipment and provide transportation services. The non-diversified fund invests in both U.S. and non-U.S. companies. 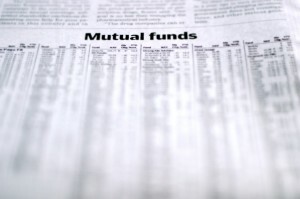 Article printed from InvestorPlace Media, https://investorplace.com/2018/05/4-mutual-funds-buy-us-business-spending-surges-ggsyn/.